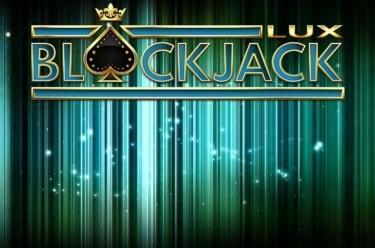 Play Lux Blackjack online for free now! So simple yet so exciting: the game about the magic 21! Compete against the dealer in Lux Blackjack and show how intuitive and lucky you are. Who strikes the right balance between risk-taking and strategy to get closer to the 21? Choose your game moves wisely and you will cash in big time with this game classic! Your goal with Lux Blackjack is to get a hand worth 21 points. You win if you have a Blackjack or a higher card value than the dealer. But if you go bust and exceed the magic 21 your stakes go to the bank!